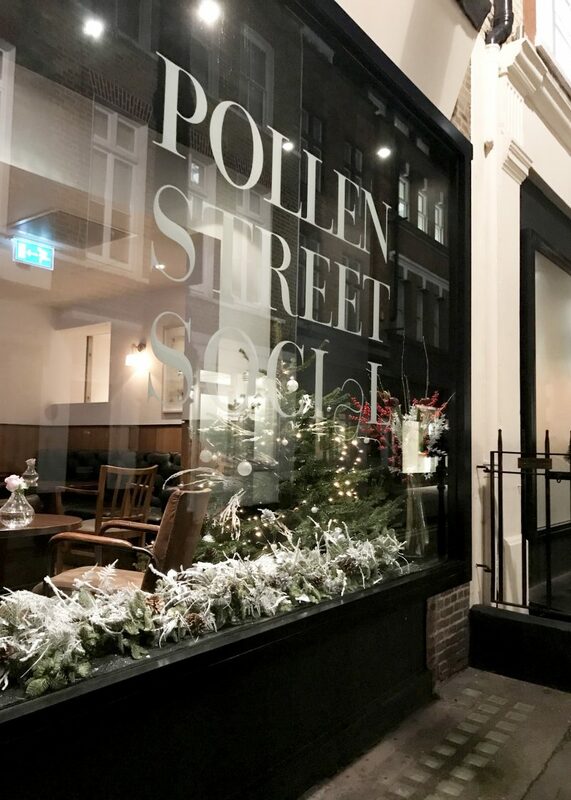 Pollen Street Social; the second of my “fancy restaurant” reviews I’ve posted this month (who am I?!) – this spot is a lot less affordable than the Frenchie but if you ever get the opportunity to go you DEFINITELY SHOULD. I was very fortunate to be taken through an opportunity at work at the end of last year. Equally if you ever get to do client entertaining in your job, note this one down for sure! 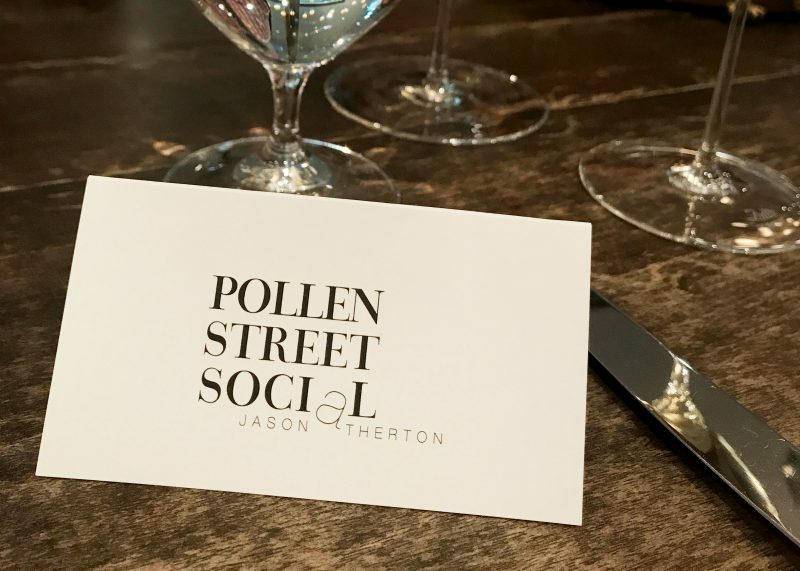 I’ll forever remember this day at Pollen Street Social, as the day I had the nicest ever lamb hot pot – you’ll have to just read on to find out more. 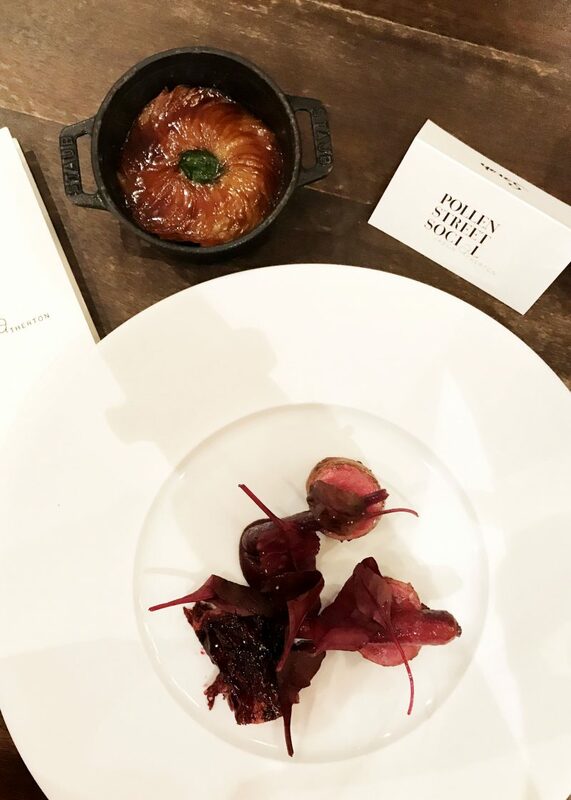 Co-owned and run by Jason Atherton, who, if you’re not familiar with, worked with Gordon Ramsey to launch the famous chain, ‘Maze’, in London and then internationally too. He actually has a number of “social” spots, and you can read it a bit more about Jason’s tasteful background just here. 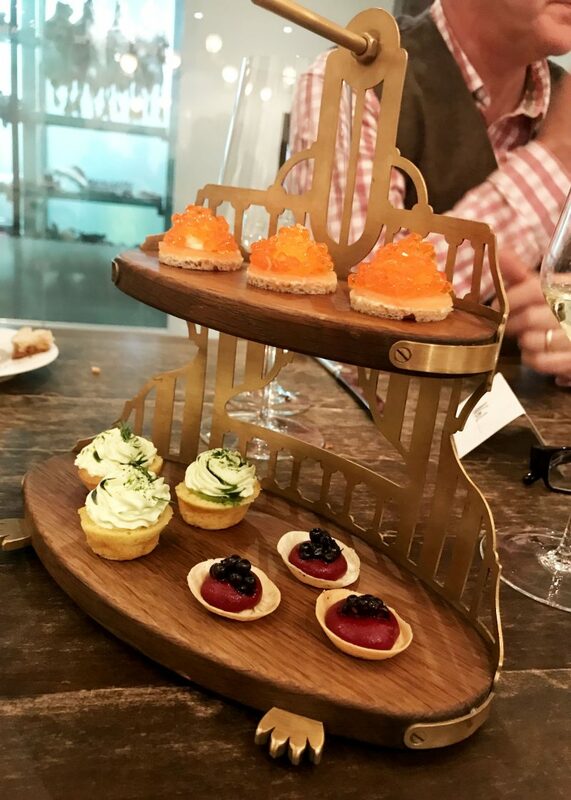 We started with some gorgeous appetisers – I don’t have the beautiful menu descriptions of for these ones so I apologise as they won’t sound quite so glam! 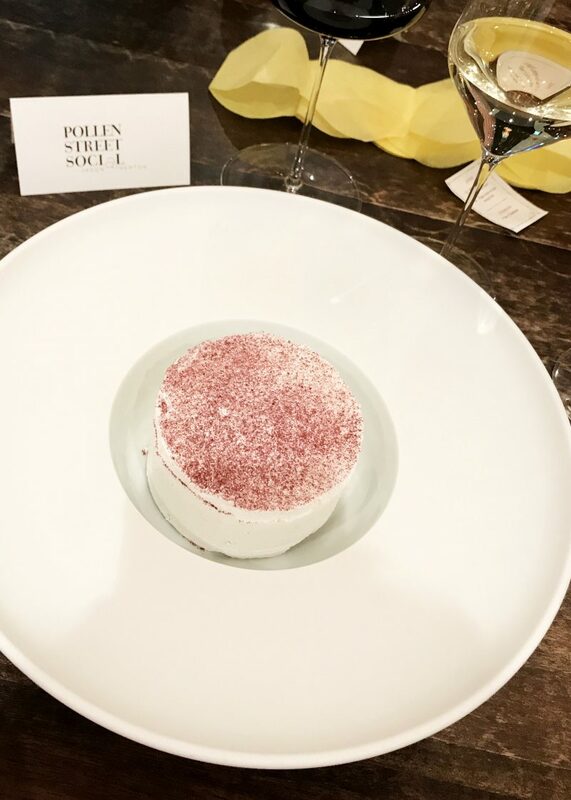 Salmon with caviar, beetroot puree and gorgeous little cake with a cucumber topping (hahah I’m actually laughing as I read this vs the rest of the menu I have). To start I opted for ‘Paignton Harbour crab salad, apple & coriander, lemon puree, brown crab on toast’. What I love about going to lovely restaurants, is reviewing the menu when the dish is in front of you and working out out what all the parts are. I think this is testament to my lack of experience in said places, but I guess we’ve all got to start somewhere right 😉. 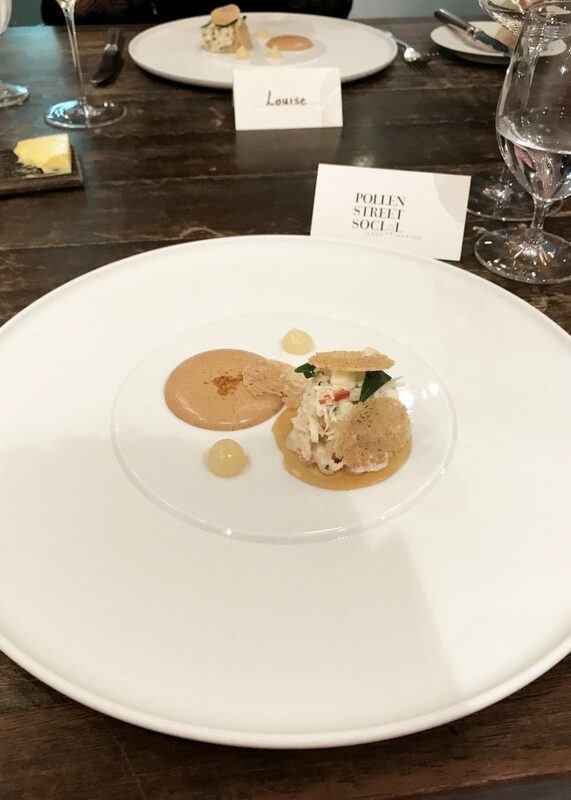 This crab dish was very delicate, the toast was thin and crispy and the apply & coriander salad complemented it perfectly. 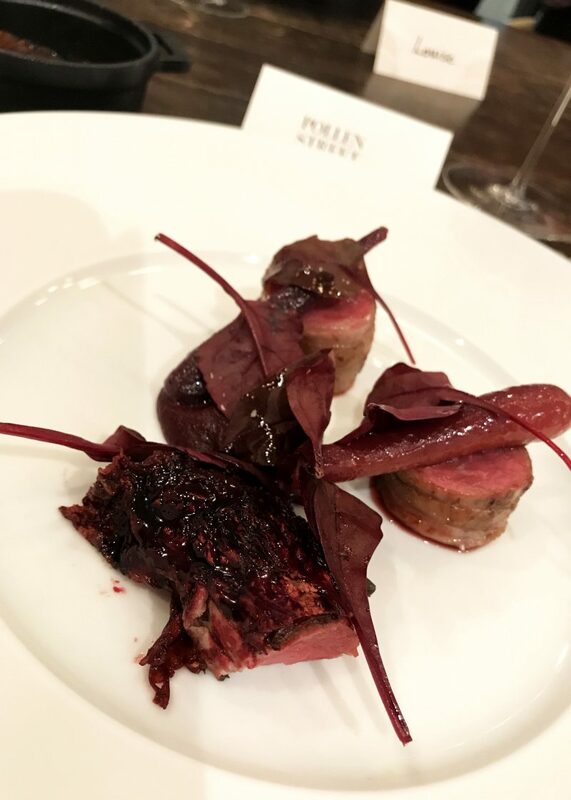 The lamb dish I chose for main was beaut – ‘Lake district lamb, loin & braised shoulder hot pot, beetroot and blackcurrant, savoury cabbage’. I don’t have the best photo of the hotpot, but that little pot top left there was honestly the nicest little stew type dish I’ve ever ever had. Delicate meat, flavours not to miss and topped off with the tastiest, thinly sliced potatoes – wow. On the plate itself was three different cuts of lamb, with some cute purple carrots and beetroot, mmm. Following a little sorbet palette cleanser (of course, don’t we all have these on the regular haha), I picked ‘English bramble, “eton mess”’ for desert. It arrived whole, but was soon crushed by the waiter with a spoon and drizzled with cream. 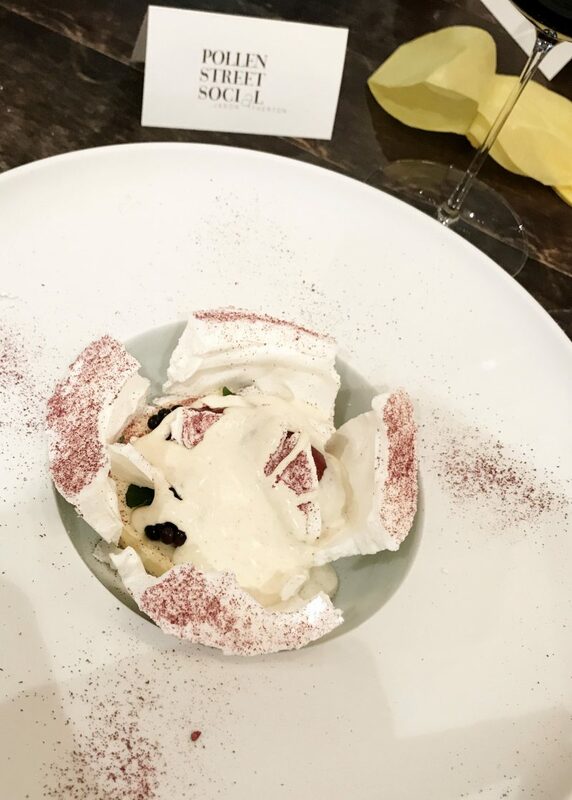 I mean considering Eton Mess is probably one of the easiest deserts (she says having not made it ever), this was put together with finesse, and the perfect end to a gorgeous meal. 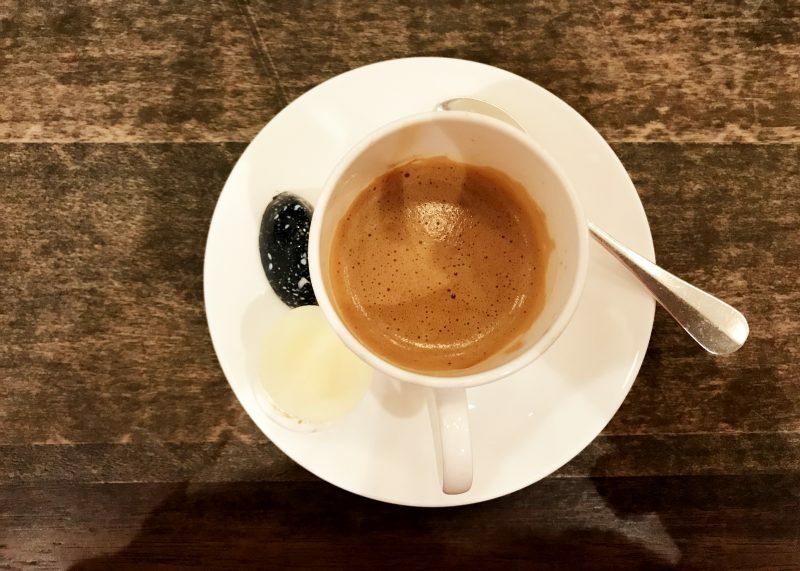 We followed with petit fours and coffee, to balance out the wine we had consumed with these delicious dishes. Compared to the Frenchie (which I posted earlier this month), this was a lot “fancier”, but with one Michelin star you’d expect nothing less. It was a fabulous taste experience to have and I loved every bite, ha. Would very much recommend if you have the chance and money to be able to visit, but do book in advance as I think it’s pretty popular!